At a panel discussion held by Compassionate Oregon in McMinnville, individuals both in favor of and opposing medical marijuana facilities expressed concern regarding “medibles” that will appeal to children. 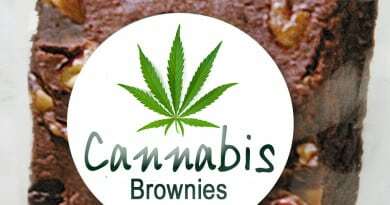 These include not only the traditional marijuana brownies, but candies usually considered to be for kids, like gummy bears. a 1989 report of six children in British Columbia, three of whom arrived in the emergency room with varying degrees of altered mental status—from drowsiness to coma requiring assistance in breathing, as well as dilated pupils and decreased muscle tone. a 2005 case in which a two-year-old girl arrived at the hospital with shaking arms, lethargy, ataxia (loss of bodily movements)—in what was believed to be a seizure. She vomited once and then fell asleep. She had a CT scan, blood tests and EKG, before a toxicology scan showed positive for marijuana. The little girl was discharged after 24 hours. a 2006 report of an 11 month old presenting to the emergency room in a coma due to marijuana ingestion. a one-and-a-half-year-old hospitalized in a coma, who tested positive for marijuana in 2010.
the ingestion of hashish by a 14-month-old child who was comatose for two days in 2011.
a 2012 case in Egypt, where a 16-month-old infant presented to the emergency department with a seizure, followed by unresponsiveness after sleeping in a room where his father had been heavily smoking cannabis. He was admitted to intensive care where he received oxygen and IV fluids, and recovered in 24 hours. Oregon Administrative Rules require that the following notice be placed on these items: Warning: Medicinal Product. Keep out of reach of children. The lettering must be larger than the other lettering on the product, as well. At Compassion Center, we have long recommended that parents make sure their medicine is kept in a locked cabinet or a lockbox to prevent children from obtaining access. Not only will protect your child, but it will also go a long way to showing Child Protective Services (CPS) that you are a responsible parent. Cheryl K Smith is an Attorney and Executive Director of the nonprofit Compassion Center in Eugene. She is also an editor and author of books on raising goats and death with dignity.